Some dogs just have it, while others do not. Being special is not always a good thing. You will wish your dog did not have IVDD. Canine IVDD or Intervertebral disk disease is the hardening of the disks cushioning the spinal vertebrae.When this happens, dogs have difficulty in moving without pain, which causes weakness and limited mobility. The disease gets worse slowly over time, and the disks get so hard that it will put pressure on the spinal cord. This results in agonizing pain, incontinence, and eventual paralysis. The fact that IVDD develops slowly means that dog owners may not even notice it until the later stages. It is important to recognize the condition as soon as possible for a better management and a chance of successful treatment. Below are some useful facts about canine IVDD. It is difficult to see the signs of IVDD because they look like something else, come out irregularly, and can vary from dog to dog. It may come upon the dog slowly, or all at once. Here are some common signs of IVDD. The most common trigger for canine IVDD is age. The dog’s bones typically lose flexibility as they grow older, and they are more likely to experience a hardening of the disks. Another common trigger is constant and regular engagement in strenuous and high impact activities such as jumping from height. The stress on the disks can be such that it can rupture it, and harden as a result of the healing process. 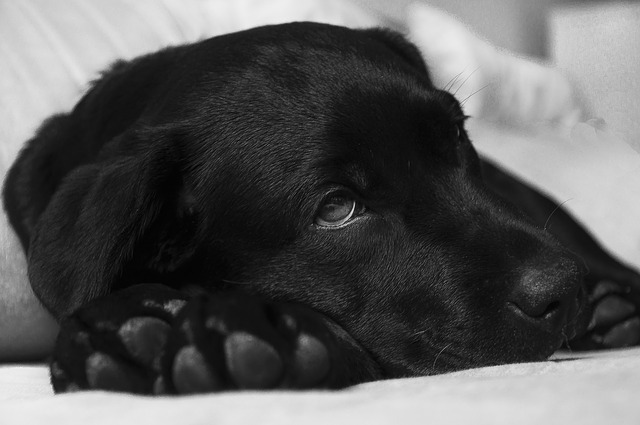 All dogs have the potential to develop canine IVDD< but some breeds get it more frequently. Ib most cases, it is believed this is due to a common condition in some breeds called Chondrodystrophy, or a disorder of involving the formation of cartilage. If you suspect your dog has IVDD, you should tell your vet. The vet will most likely order a battery of tests including X-rays, neurological checks, MRI, or CT scans. When IVDD is confirmed, the treatment will depend on the seriousness of the condition. Dogs with moderately serious IVDD might respond to a course of anti-inflammatory and steroid medications. The vet may also require you to confine the dog to get complete rest for a period of six weeks or so. Dogs with severe IVDD may need surgical treatment, although the vet may not recommend this for completely immobile dogs. This means the IVDD has become untreatable. Instead, the vet may advise the owner to get a dog wheelchair to help the dog live with the disease and still be mobile. In either case, the vet may recommend a course of physical rehabilitation to improve the dog’s overall health. Prevention is always the best cure, and the way to minimize or even avoid the development of IVDD is to follow these tips. Canine IVDD is probably not going to kill your dog, but it can seriously curtail the quality of life. You need to know these facts about IVDD so you can protect your dog from developing the disease, and help it through it if it does happen. If you need some mobility assistance for your dog, give us a call. We can help you and your dog manage IVDD.